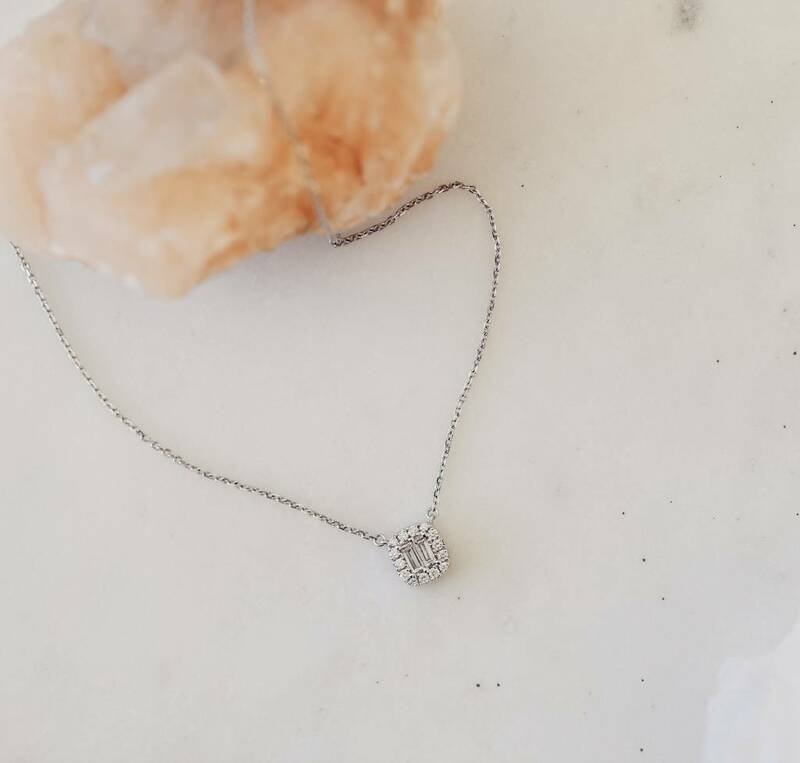 Baguette Diamond Necklace - Sarah O. 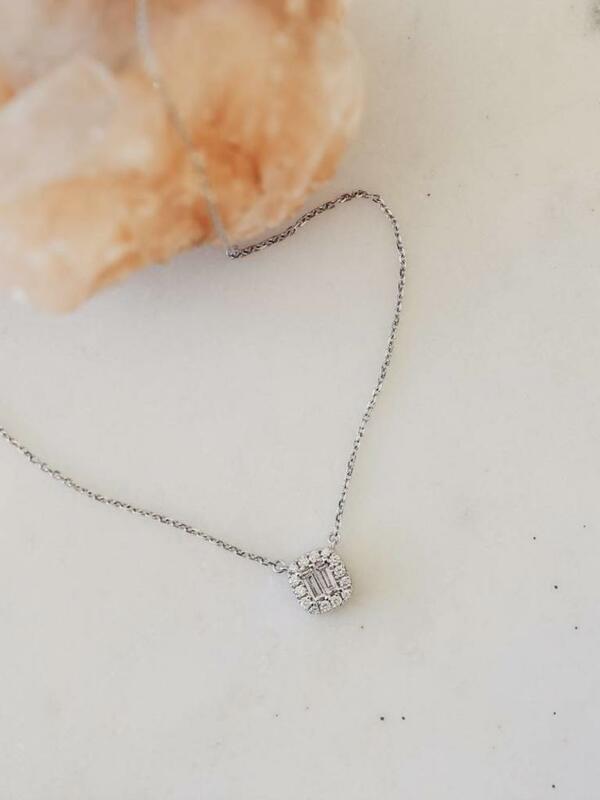 18k white gold. necklace with baguettes and rounds equalling .19cts.